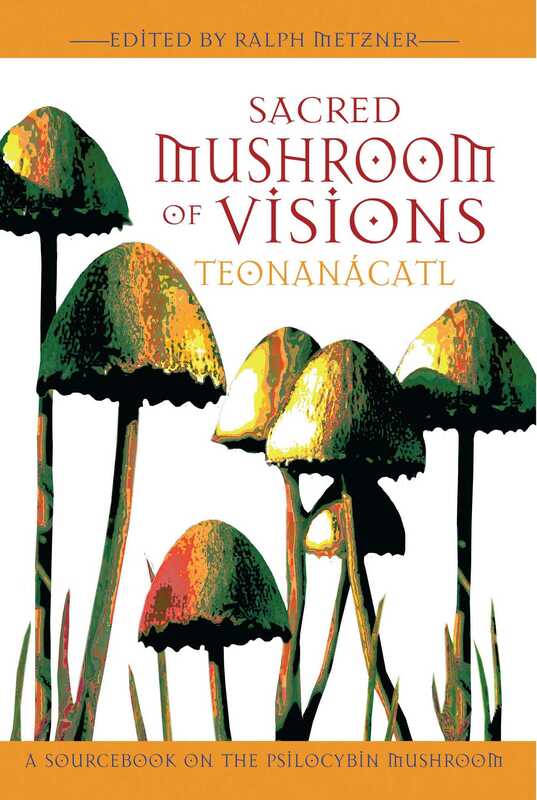 Teonanácatl was the name given to the visionary mushrooms used in ancient Mesoamerican shamanic ceremonies, mushrooms that contain psilocybin, the psychoactive agent identified by Swiss chemist Albert Hofmann, the discoverer of LSD. The rediscovery of these visionary mushrooms by the Mazatec healer Maria Sabina and mycologist R. Gordon Wasson ignited a worldwide mushroom culture that inspired the consciousness revolution of the 1960s. This book describes in vivid detail the consciousness-expanding experiences of psychoactive mushroom users--from artists to psychologists--and the healing visionary inspiration they received. It provides firsthand accounts of studies performed in the controversial Harvard Psilocybin Project, including the Concord Prison study and the Good Friday study. It describes how the use of the psilocybe mushroom spread from the mountains of Mexico into North America, Asia, and Europe by seekers of consciousness-expanding experiences. It also details how psilocybin has been used since the 1960s in psychotherapy, prisoner rehabilitation, the enhancement of creativity, and the induction of mystical experiences and is being studied as a treatment for obsessive compulsive disorder (OCD). Maria Sabina related that she discovered the magical effects of the mushrooms when as a 7- or 8-year-old child playing in the woods with her sister, she ate some and found herself in a realm with lots of “children” (los niños), who talked to her and played with her with great good humor and laughter. She knew that her father and grandfather used these mushrooms in healing. Ever after, she referred to the mushroom spirits as “los niños” and as she grew up she learned to consult with them when she needed help in healing. They might tell her about certain herbs at a particular place that she should find and apply to the patient. She became known as a gifted curandera, and devoted herself fully to her vocation--except during her two marriages, when she was raising her children. During her veladas, Maria Sabina would sing and chant for hours, with percussive clapping and slapping her hands against her body, praying for the sick person, calling to the holy little ones, los santos niños. She would invoke the names of Christian saints and also the spirits of her native land, like the Lord of the Mountain and spirits of nature. Her words were mostly Mazatec, but sometimes included unknown words or repeated syllables, a kind of spirit language similar to that found among shamans around the world. She realized too that this was a divine or spiritual wisdom book that she was seeing and reading. In her personality she was a peasant woman who never learned to read. In her essence she was a spiritual giant, a sabia, a wise woman: “I am lord eagle woman, says...” After that vision and transmission of spiritual healing, she no longer saw the book “because I already had its contents in my memory.” Her reputation as a healer grew and people came to her from far away with difficult problems, including possession by bad spirits. R. Gordon Wasson brought back specimens of the mushrooms that Maria Sabina and other healers used and worked with the great French mycologist Roger Heim to identify them, name them, and publish the results of their findings in the mycology literature. Wasson also contacted Albert Hofmann, who identified the psychoactive principles in the visionary Mexican mushrooms as psilocin and psilocybin. As we took leave of Maria Sabina and her clan at the crack of dawn, the curandera said that the pills had the same power as the mushrooms, that there was no difference. This was a confirmation from the most competent authority that the synthetic psilocybin is identical with the natural product. Maria Sabina also remarked that with the help of the tablets she would now be able to conduct mushroom healings even during the seasons when they normally don’t grow. "A compilation of scientific information, historical lore, and experiential reports about the magical psilocybe mushrooms. . . . It is sure to be treasured for years to come." "An outstanding comprehensive gathering of vital information from the psychedelic world." ". . . this book is a must-have for entheogen and mushroom lovers alike." "One gets the impression when finishing the Sacred Mushroom of Visions that the many dimensions of psilocybin offer humanity a truly wonderful gift; for personal experience, for scientific research, and as a light through which the environment discourse of the modern age can be shone. If you have an interest, indeed a belief, in entheogenic, empathogenic, (as many of the narratives elude to) shamanism, or simply mycology, then this book is a must for your shelf."